On the 7th of November, 2008 a tradition of hundreds years, the Investiture of Squires and Damsels was recalled in the Castle of Szirák in the presence of His Most Eminent Highness Prince José. The Szirák Castle has been for many centuries one of the castles of the Knights of Malta and nowadays the castle works as it did in the past. The seat of the Hungarian Grand Priory is the Szirák Castle. Those children can be Squires and Damsels who has got one or two parents as members of the Sovereign Order of Saint John of Jerusalem, Knights of Malta, Federation of the Autonomus Priories. This time the Grand Master investitured four children, two damsels and two squires: Biborka Kiraly and Alexandra Viktoria Nagy Damsels, Edward Karoly Nagy and Zakarias Balazs Schuman Squires. Squire Edward as senior was investitured for Prime Squire. The newly investitured children will prepare to be a Knight or Dame by horse-riding, learning history, geography and sword-play throghout the following years. Hopefully we will be very proud of them. 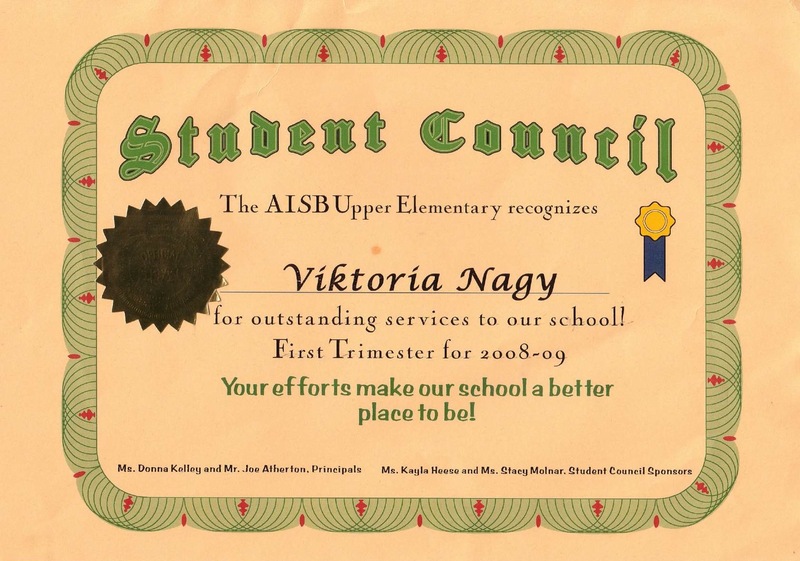 As a first example Damsel Viktoria received an Award from the American International School of Budapest for her active and sacrificial work for the school.